Are your recruiting efforts being sabotaged from within your organization because of poor candidate communication? If so, you are not alone! A company’s reputation for hiring and on-boarding is vital to its success, especially when competing for talent in a tight job market. In today’s technologically advanced society, detailed job applicant experiences are readily available on blogs, employer rating websites, and social media. In fact 83% of job seekers research a company’s reputation as part of the decision process to work, or not work, for a firm. One of the number one complaints from job applicants is a lack of feedback. Not only does this leave a candidate with a bad taste about a company, it often leads that candidate to let the social world know about his/her bad experience. A lack of candidate communication is just unacceptable these days. The expected amount of communication is somewhat subjective, but below are our recommendations based on research and candidate feedback. Send a recognition email confirming receipt of a job applicant’s resume. Set clear expectations in this communication for what the candidate should expect (29% of job seekers consider a lack of acknowledgement as a bad candidate experience). If you contact a candidate to schedule an interview, send a reminder or follow up email confirming the interview details and your contact information. Within 72 hours after a candidate interviews, update the candidate. Even if a hiring decision has not been made, a considerate acknowledgement of such is greatly appreciated by candidates. A quick email only takes a few seconds, but it means a lot to a job seeker. As soon as you have eliminated a candidate from consideration, let him/her know. Relieve the candidate of the anxiety and anticipation he/she has been carrying around since the interview. While a candidate may be disappointed about not getting the job, he/she will respect your company for providing closure (60% of candidates believe that never hearing a decision about their candidacy constitutes a bad experience with a company, which will impact a company’s online reputation). If a candidate is still viable, touch base once a week until a hiring decision is made. This may be a quick email or phone call, but this not only keeps the candidate “warm”, it gives you additional opportunities to interact and further assess written and verbal communication skills, interpersonal skills, etc. This additional communication might help your company make a decision on who the right candidate is. Regardless of the outcome, all candidates should be notified when the position is filled or closed. Leaving candidates hanging indefinitely is a great way to land a negative review on social media or the Internet. 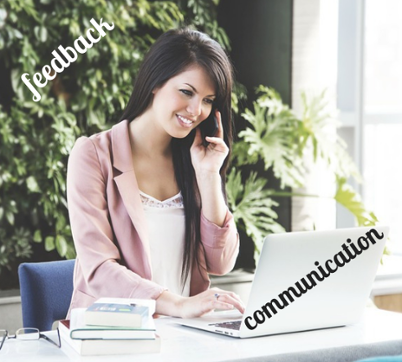 Educate your hiring managers on the importance of giving timely feedback on candidates. They may be swamped, and it may not be easy, but having a good reputation as an employer will make filling positions easier. Getting a bad hiring process reputation will only make filling positions harder.